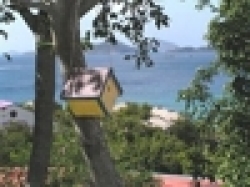 VILLAS AND APARTMENTS TO RENT IN ST JOHN, VIRGIN ISLANDS, THE CARIBBEAN. 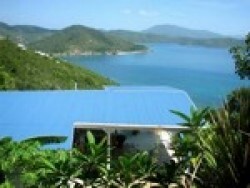 Welcome to our selection of holiday homes to rent in St. John, the Caribbean. The smallest of the US Virgin Islands, St John is less than 20 square kilometres in area, but is just a few kilometres away from its nearest neighbour, St Thomas, home to the territory's capital, the pretty town of Charlotte Amalie. As an unincorporated territory of the United States, the vast majority of St John's 4,000 residents have English as their first language, while the local currency is the US dollar. There is no airport on the island, so the only way to reach this remote and secluded destination is by boat from nearby St Thomas or Tortola. Most famous for its natural beauty, over half of the island is a protected nature reserve. The beautiful beaches here have become popular wedding and honeymoon destinations, while Trunk Bay is regularly voted in the top ten best beaches in the world. St John may have a reputation as an exclusive resort destination, but it is also a peaceful and relaxing place, with a very slow pace of life. The nightlife on the island consists of a few local bars, often with live reggae music, rather than nightclubs and parties. There are several cultural events throughout the year, including the St John festival every July, celebrating the island's culture, art and food. There is a selection of private villas available for rent, either by the sea or in the hills with a great ocean views. Many of these were built in the 1950s, when St John first became a popular holiday destination for rich Americans. Some of the island's beaches are private, belonging to hotels or even to private houses! Often you can use the resort beaches even if you're not staying there, for a small fee. Trunk Bay, which is part of the Virgin Islands National Park, is arguably one of the most beautiful beaches in the whole of the Caribbean. A typical white sand beach, bordered by palm trees, it's a great place to just lie back and relax, or you can always put on your snorkel to explore the fantastic coral reef offshore. One of the best ways to appreciate the beauty of St John's coastline is to take a boat trip around the island. There are companies that run day trips for tourists, or you could splash out and charter your own yacht for the day. Looking for self catering holiday accommodation in St. John? Then below is a selection of apartments in St. John and villas in St. John that can be rented direct from their owners. You can either click on each listing for further details or you can use our search engine on the left if you are looking for something in particular.